The Terrace Pavilion at the House of Commons was the venue for the second annual debating reception organised by the UK Fibre Connectivity Forum (UKFCF) on Wednesday 21 March. Building on the success of last year’s inaugural event, this year’s reception was packed and could have been filled three times over, according to Askar Sheibani, chair and founder of the UKFCF, and CEO of Comtek Group. The keynote speech was delivered by Lord Jonathan Mendelsohn, who was the driving force behind the House of Lords amendments to the Digital Economy Bill. The amendments covered all of the key issues to help provide the UK with broadband that is ‘fit for the future’ through the mechanism of the Universal Service Obligation for broadband. These provisions included a 30Mb/s initial obligation, with a path to full fibre and Gigabit data rates, prioritising areas of low population density to avoid deepening the digital divide. These amendments were passed by the House of Lords, but were largely ignored and overturned by the House of Commons when the Bill returned there. However, since then, the Government has come to realise how far behind the UK is on the global stage and is now committed to a vision of a full-fibre future. Lord Mendelsohn stressed the importance of industry support for full fibre and highlighted the role that the UKFCF has to play in lobbying to make that vision a reality. The keynote was followed by a panel question and answer session, with illustrious panel members including Floyd Widener, chief sales officer of Hyperoptic, the headline sponsor for the event; industry veteran Richard Jones, co-founder and chief commercial officer at Ventura Team; Gary Thompson, director at Between Spaces, who highlighted the importance of digital connectivity in development areas; and Justin Leese, programme director for local full fibre networks at DCMS, who outlined current Government initiatives and funding including the Gigabit voucher scheme. 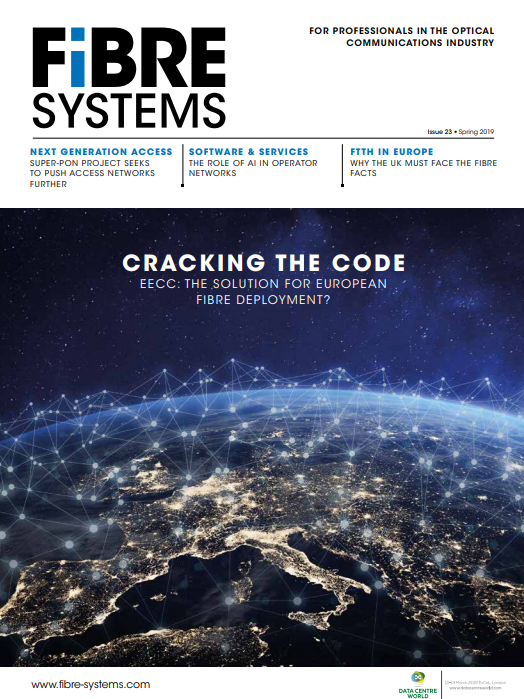 An International dimension to the panel was added by Andrew van der Haar, director at the Dutch Fiber Carrier Association and Erzsébet Fitori, director general at the FTTH Council Europe. Questions and discussions spanned a number of topics, including the question of the UK’s so called ‘fibre tax’ and how communications infrastructure is taxed elsewhere in Europe. Another question was on the danger of the digital divide, given the news release issued that day stating that Southwark Council were licencing two additional fibre providers in the borough, as well as Openreach and Virgin Media, whilst many rural areas of the UK struggle to get one viable provider. After further discussions and a summary from each panel member, Askar Sheibani thanked everyone for coming and highlighted that the next meeting of the UK FCF would be taking place on 11 June in London to take the next step forward in promoting the full fibre agenda. So, although the answer to the question ‘Can the UK catch-up with the global full fibre connectivity race?' is ‘probably not’, at least we are now moving in the right direction. Richard Ednay is technical director, Optical Technology Training Ltd and chairman of the BSI committees on fibre optic and fibre optic systems. For many years he has been the UK’s principal expert on testing fibre optic cabling, responsible for the UK’s input to IEC standards and project leader for some of those standards. He has also participated in ISO/IEC, ITU-T and TIA standard groups. He is responsible for the Certified Fibre Characterisation Engineer programme, available from OTT’s training delivery partners around the world. www.fibrecharacterisation.com.